Grand Opening - Budva Rock Shop - Staff - like a Icon pin. 2015 on it, but release was 2017/04. 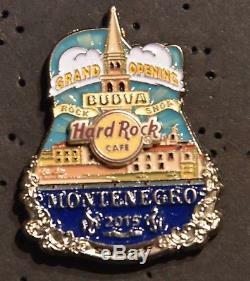 The item "Hard Rock Cafe Budva Grand Opening Staff pin" is in sale since Friday, December 14, 2018. This item is in the category "Sammeln & Seltenes\Pins & Anstecknadeln\Pins, moderne\Hard Rock Café". The seller is "chmuellner" and is located in Leopoldsdorf. This item can be shipped worldwide.